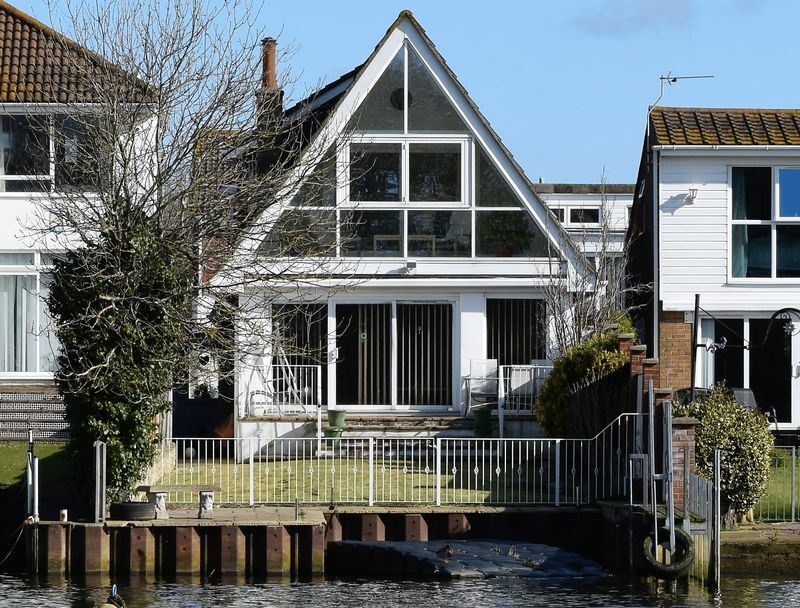 A beautifully presented FIVE BEDROOM DETACHED residence with a large detached garage and games room plus TWO PRIVATELY OWNED MOORINGS, one of which is believed to be one of the largest private mooring facilities on the River Stour. The boundary includes approximately 20ft of the river bed so an alternative slipway could be constructed. 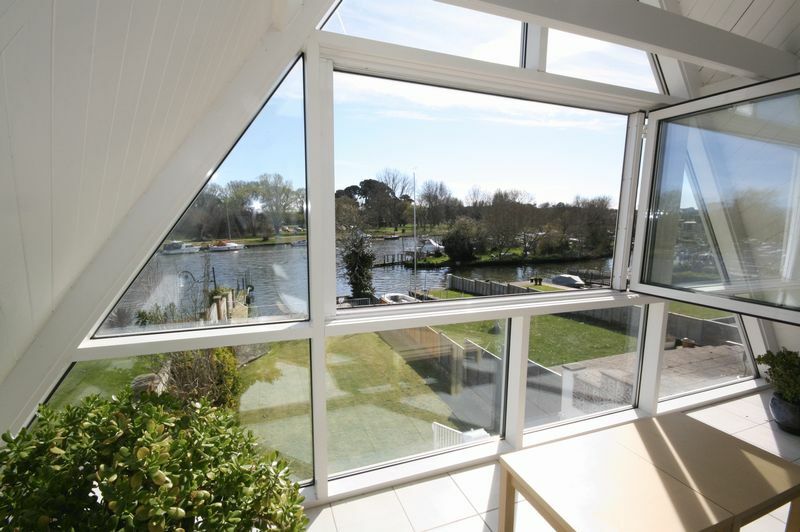 With STUNNING VIEWS and situated on the edge of the historic town of Christchurch which offers a range of independent and high street shops, cafes, restaurants, harbour and quay and the wonderful Priory. 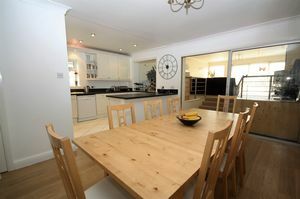 The deceptively generous accommodation provides versatile and flexible living space which comprises: an entrance lobby, open plan reception hall, and cloakroom.A kitchen with a range of floor and wall mounted cabinets, 1½ bowl inset sink unit, round edged work surface, separate island, built in four ring Neff hob with extractor canopy, matching double oven, integrated fridge/freezer, space and plumbing for a dishwasher and fully tiled flooring. 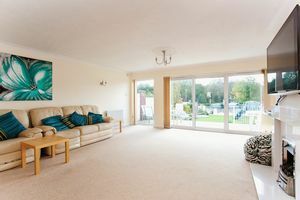 The dining area has built in cloak cupboard and sliding doors opening into a study area which leads to the elevated sitting room with feature marble fire place with fitted coal effect gas fire. Sliding patio doors open onto the raised patio which overlooks the riverside garden, private mooring area, River Stour and Wick Village beyond. A separate utility room provides additional storage cabinets, inset stainless steel sink, space and plumbing for a washing machine, tiled splash backs and flooring and single access door opening onto the rear patio. 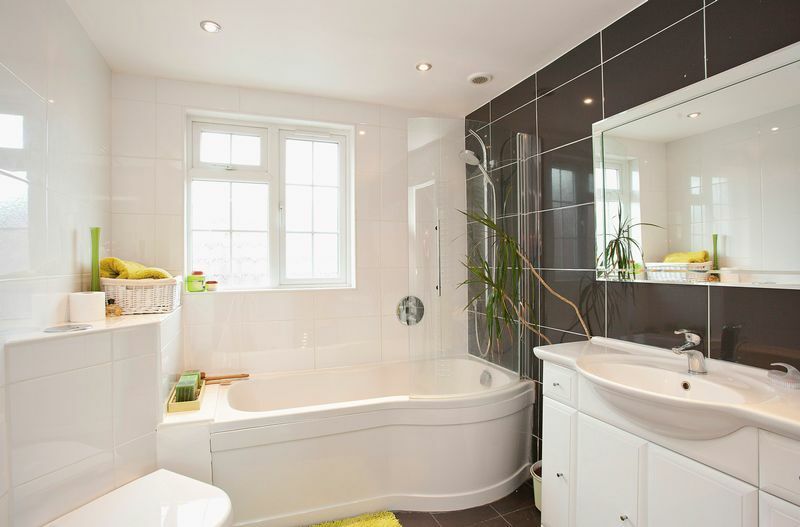 On the ground floor there is a double bedroom benefiting from an en-suite bathroom, with corner bath, separate wall mounted shower, low level wc, pedestal hand basin and tiled flooring. 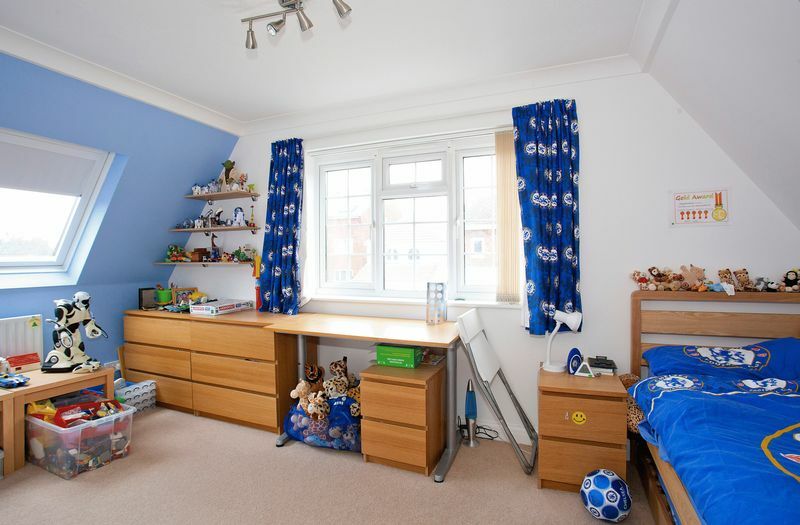 This bedroom combined with the large study and utility room could potentially create a separate ground floor annexe. 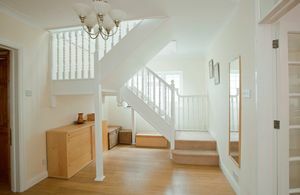 The first floor galleried landing provides access to three further bedrooms with the master benefitting from a dressing area with a range of fitted wardrobes and storage cupboards, newly fitted en-suite comprising a vanity unit with backlit mirror, low level W/C, extra-large shower cubicle, part tiled walls and tiled flooring. 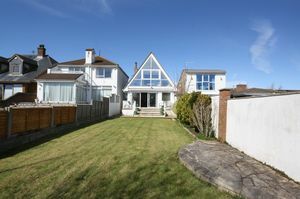 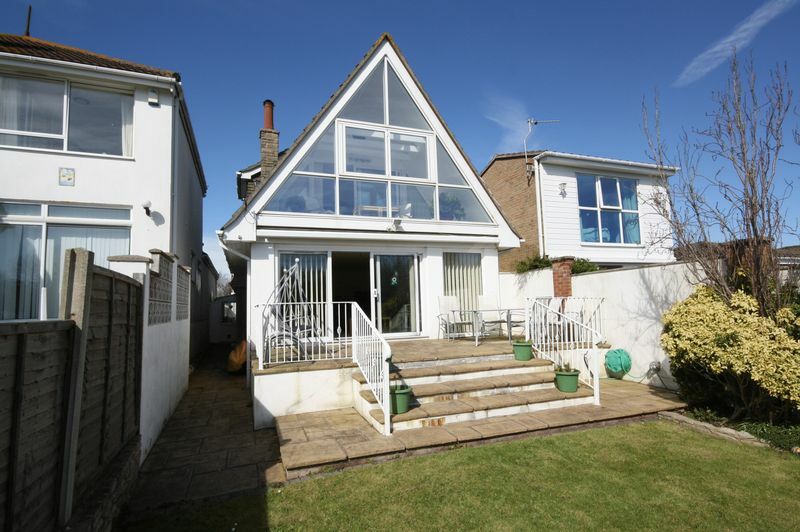 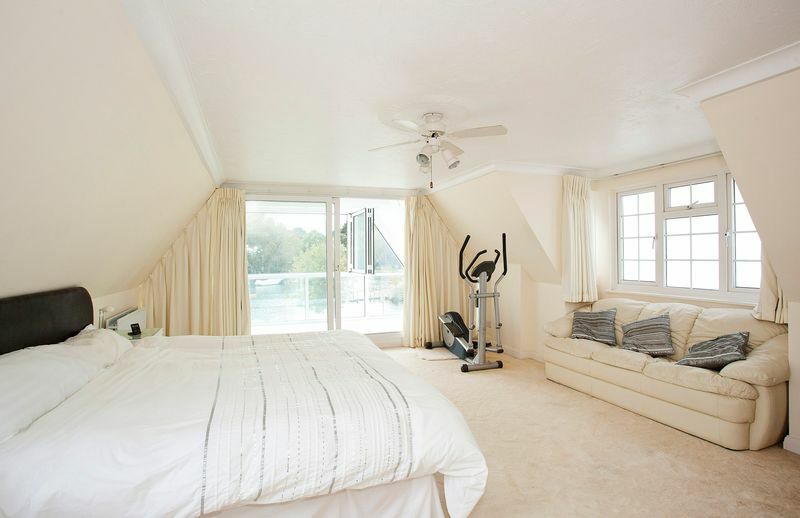 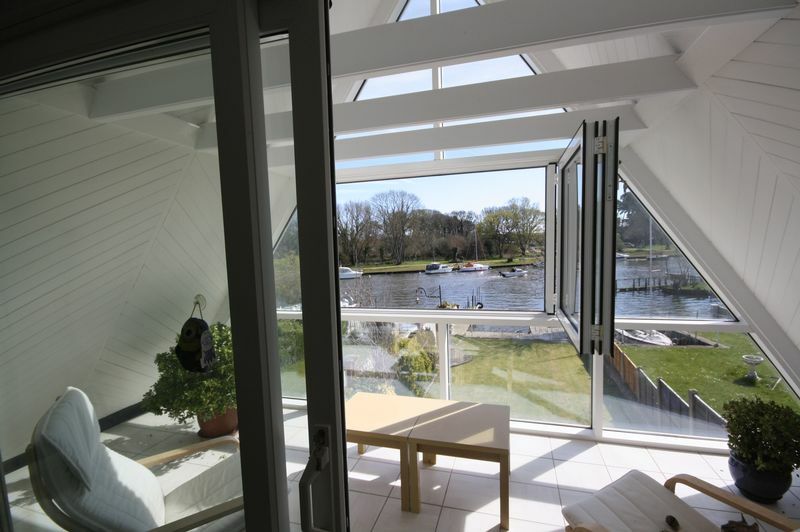 The master bedroom also has sliding doors opening into an enclosed sun room with stunning views across the river and Hengistbury Head in the distance. The remaining bedrooms both benefit from fitted wardrobes and are serviced by the family bathroom. The front of the property is approached through electric wrought iron gates onto block Pavia which provides an extensive off road parking area and access to the triple garage with a large electric roller door. 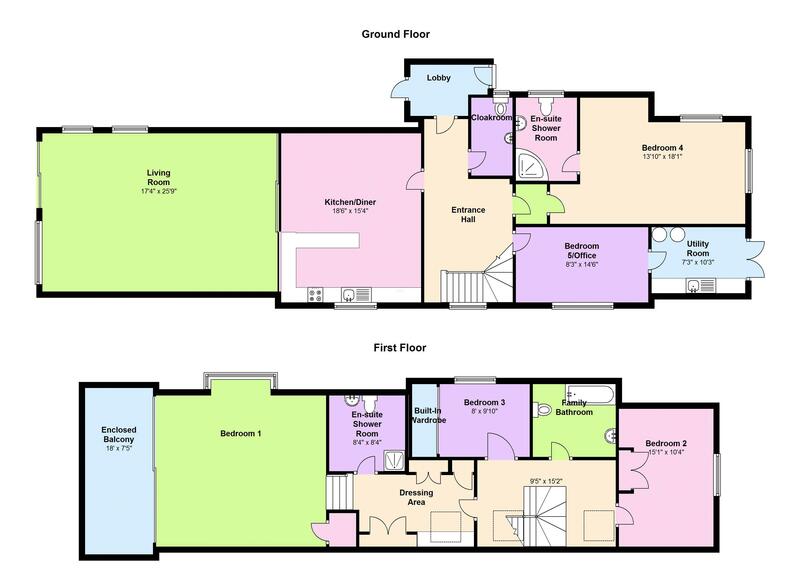 A lobby with stairs leads to the first floor games room/annexe with open plan fitted kitchen and fully tiled bathroom. 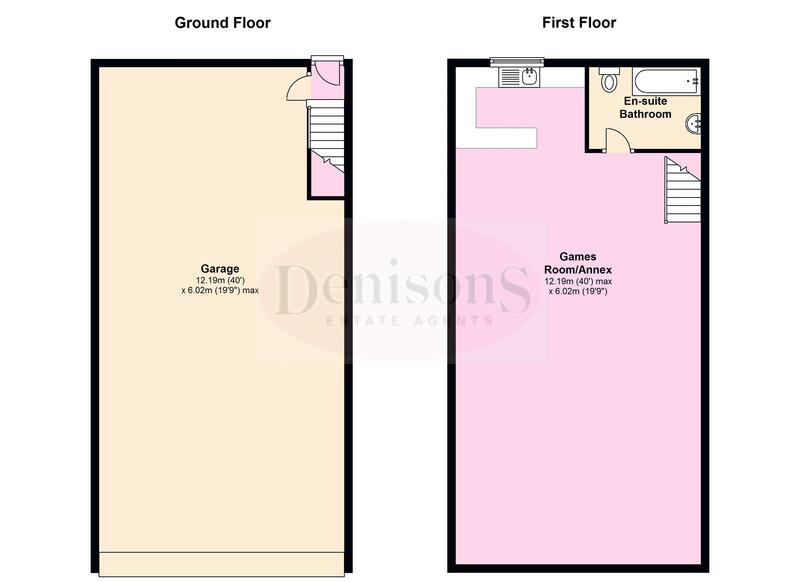 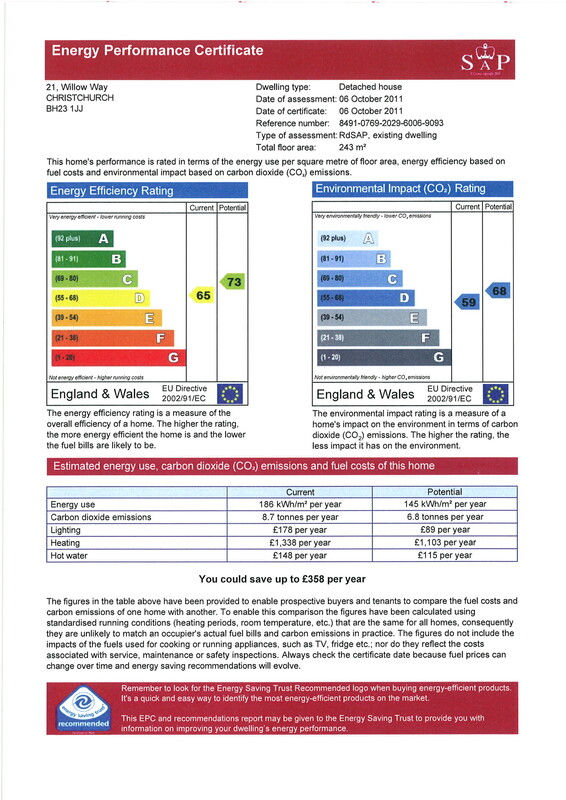 This space could potentially be developed to provide further self-contained accommodation. 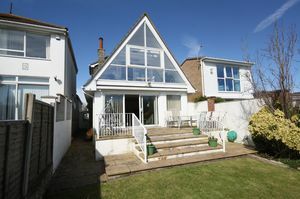 A courtyard garden is located between the garage and the main house, with a lawn area and brick Pavia patio. 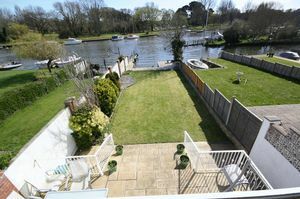 The south facing riverside garden is mainly laid to lawn with shrub borders and raised patio area. 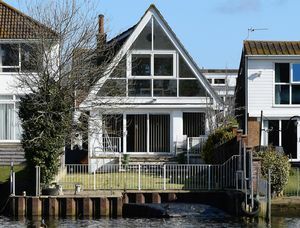 A wrought iron balustrade with personal gate provides access to a partially inset mooring area with adjacent Pontoon, patio surround and a further adjacent second mooring. 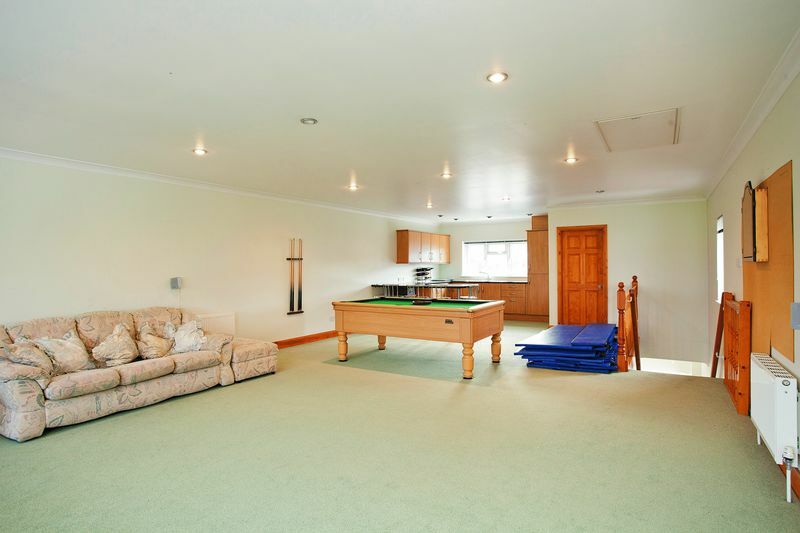 Viewing is highly recommended to appreciate the outstanding location and versatile accommodation this delightful property has to offer.